(Seychelles News Agency) - Residents and visitors in Seychelles on Thursday will be able to see an annular solar eclipse, though precautions should be taken so eyes aren't damaged by looking at the sun. While central African countries and parts of Madagascar will experience a maximum eclipse where the moon covers the sun’s centre, people in Seychelles will only see a partial solar eclipse due to the country’s location. 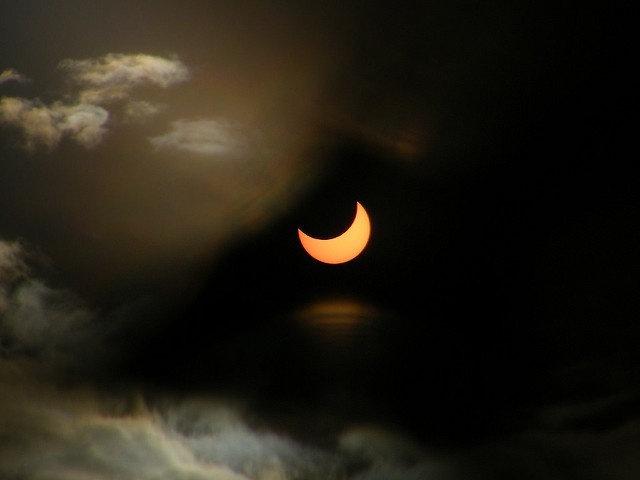 A partial eclipse is when the moon comes between the sun and the earth but do not align in a straight line. That is the moon only partially covers the sun. The chief executive of the Seychelles Meteorological Authority, Vincent Amelie, told SNA that local residents can observe the eclipse at 1:47 p.m.
Thursday's annular eclipse will start at around 12:06 p.m., lasting for a little over three hours, with the maximum point taking place at 1:47 p.m., which is when 90 percent of the sun will be covered creating what is often referred to as a ring-of-fire effect. But be careful. The U.S. space agency NASA says: "It is never safe to look directly at the sun's rays – even if the sun is partly obscured. When watching a partial eclipse you must wear eclipse glasses at all times if you want to face the sun, or use an alternate indirect method." Unlike the total solar eclipse, an annular eclipse is when the moon does not completely blot out the sun. Solar eclipses happens about once every 18 months.. The world last observed a total solar eclipse on March 8-9, 2016. The next annular solar eclipse will take place on February 26, 2017, but will not be visible in Seychelles. The island nation will be able to observe another partial solar eclipse on December 26, 2019.